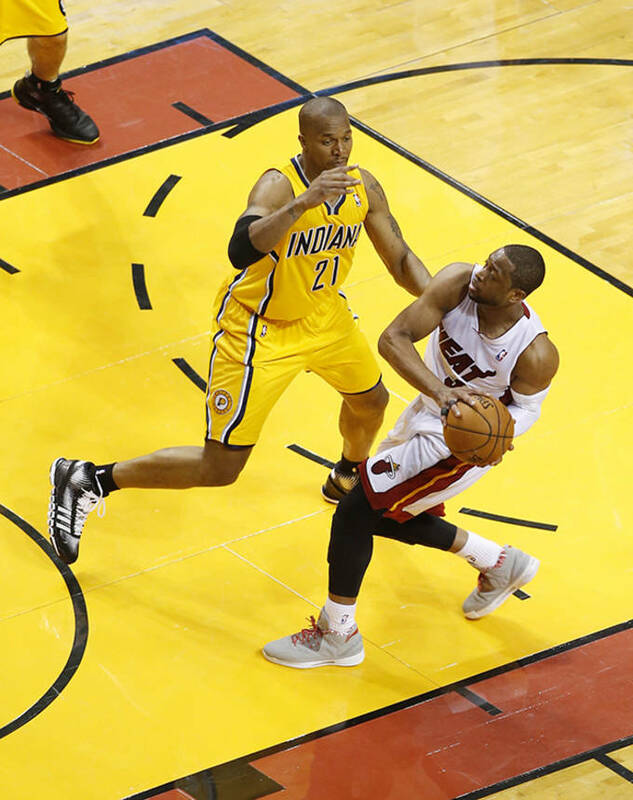 It was an easy night for Dwyane Wade and the Miami Heat. 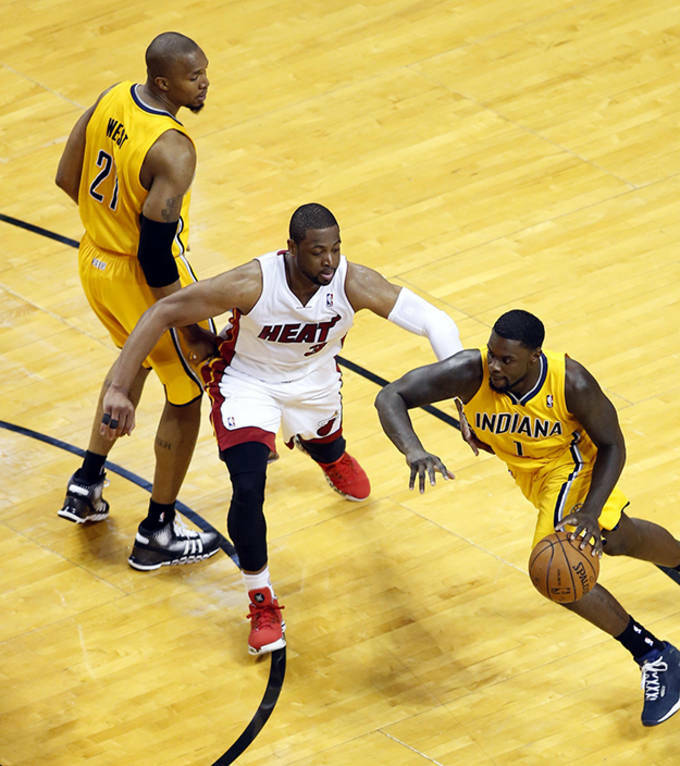 The Heat advanced to the Conference Finals with an impressive 117-92 victory over the Indiana Pacers to finish up the series 4-2. 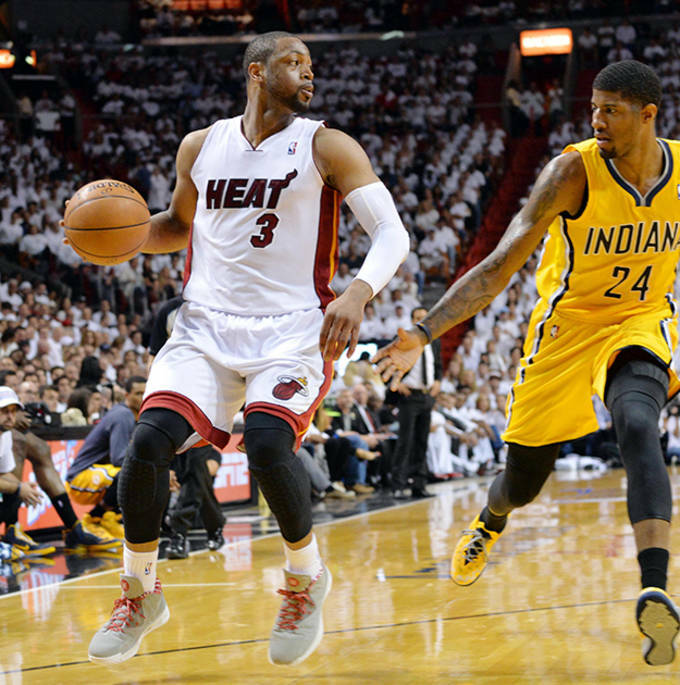 Wade had a relatively quiet night with 13 points, 6 rebounds, 6 assists, and 2 steals in the Miami victory. 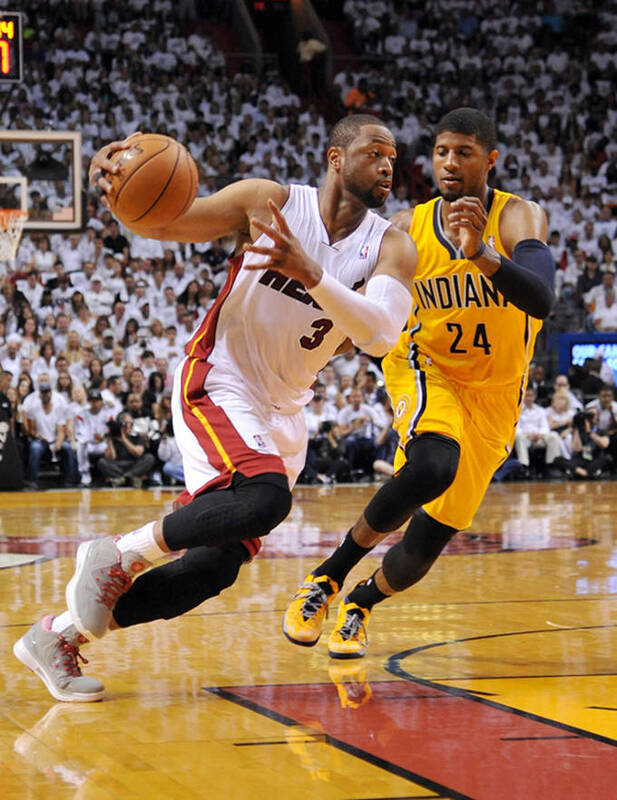 Wade has spent the entire postseason in many different colorways of the Li-Ning Way of Wade 2.0 Encore. 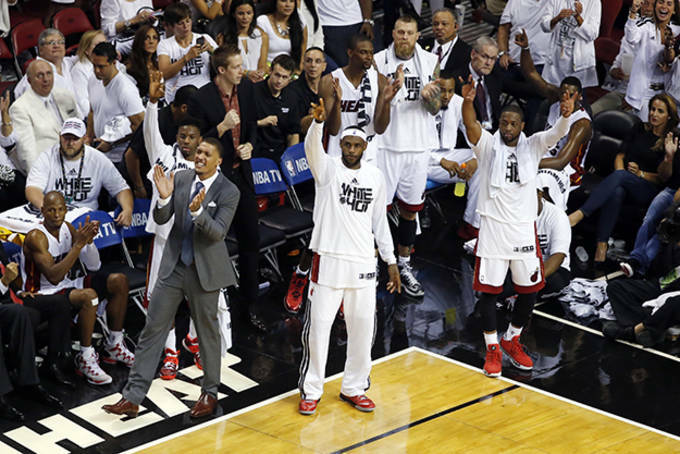 The Heat All-Star guard wore two different colorways in last night&apos;s game. He initially wore a gray and white colorway and switched to a red, white, and black colorway after the halftime break.